Committed to the ongoing education of teachers and artists, The Royal Conservatory School offers several certificate courses and is proud to set the national standard for pedagogy in Canada. If you have any questions about teacher education please contact [email protected]. The Royal Conservatory is a provider of AQ courses for members of the Ontario College of Teachers (OCT), under Regulation 347/02 . We meet the rigorous standards for governance outlined by the College, and are guided by a distinguished Advisory Panel. These qualifications are added to individual teaching certificates, which are publicly available at oct.ca. The Lois Birkenshaw-Fleming Creative Teaching Scholarship is available to applicants who are registered for the courses listed below at the Royal Conservatory School. Non-completion of the application form and required documentation will result in the candidate’s ineligibility to receive the scholarship. Applicants will not be contacted for missing information. Lois Birkenshaw-Fleming was an inspiring music educator who was one of the pioneers of teacher education at the Royal Conservatory of Music and elsewhere. She was the Head of the Orff Department for the old Toronto Board of Education during the 1970-80’s, where she led a team of outstanding instructors who taught in all the downtown Toronto schools, armed with creativity, xylophones, music from many cultures, and a deep commitment to holistic music education. In tandem with this position, Lois became an instructor of Orff Levels Courses at York University, and in due course became the Director of the Orff Teacher Training Program at the Royal Conservatory. She led courses and workshops across Canada and in South Africa, Germany, Great Britain, Finland and the United States, and was personally connected to Orff and music educators worldwide. She wrote numerous practical and comprehensive books for music educators: Music for Fun Music for Learning (Apprenons-nous par la musique), The Goat with the Bright Red Socks, Musictime K-3 and 4-6, Come on Everybody Let's Sing, (Épanouissons-nous par la musique) and An Orff Mosaic from Canada: Orff au Canada: Une mosaïque. Lois’s passionate belief in the importance of creative work by children, and her insistence on informed practices addressing inclusion and equity are part of the reason these books continue to be essential to elementary music educators. She became an internationally recognized leader in the field of music for children with special needs, with a special interest in the hard of hearing, authoring a number of books on the subject, including Music for All. Lois was honored by numerous organizations, including The Royal Conservatory of Music which made her an Honorary Fellow in 2003. Her post-retirement life was one of unceasing advocacy, working on the board of the fledgling Coalition for Music Education in Canada, establishing and funding this scholarship, founding the Pedagogy Collection at the Royal Conservatory Library and donating her own books to it, and countless other activities. Lois is remembered by those who knew her for her fierce loyalty to her friends, her sense of humour, her crazy energy, and her courageous example of a life of service. 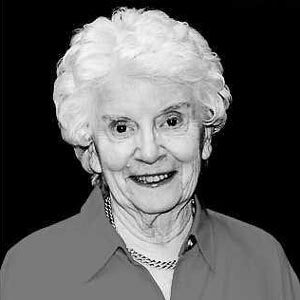 The Lois Birkenshaw-Fleming Scholarship is part of her continuing legacy to children, aspiring elementary music educators and The Royal Conservatory; it was renamed in her honour after her death in 2015. Download the Music Education as Continuous Professional Learning Guide, published in partnership with George Brown College. Educators, parents, musicians, and countless recent studies all point to the fact that music and young children are natural and productive partners. Music and movement encourage the development of strength, sensory motor control, coordination, and relaxation while other music activities, such as singing games, enhance language and communication skills. When taught through developmentally grounded programs, music often improves a child's ability to listen, concentrate, and communicate. Participation in musical group activities encourages the development of social skills. Neuroscientists have demonstrated that learning to play an instrument or sing leads to changes in a child's brain that make it more likely they will reach their full cognitive and academic potential. Do You Have the Skills to Develop This Potential? The Royal Conservatory's Advanced Certificate in Early Childhood Music Education (ECME) will round out your background to ensure that you do. You will benefit from courses taught by both The Royal Conservatory and The G. Raymond Chang School of Continuing Education at Ryerson University. Educators and musicians who work with children from birth to eight years of age are invited to enhance their work and advance their career by enrolling in this innovative certificate program. A customized course schedule allows students to acquire a balanced education that also fulfills individual requirements. To graduate, students complete eight courses on a part-time basis within a maximum of four years; many students complete the required courses in two years. After successfully completing eight courses (a combination of required courses and a wide selection of electives), teachers with a prior background in primary education, early childhood education, or music will graduate with the knowledge to provide effective music programs for enhanced child development. Upon acceptance, you will attend an individualized counselling session. The program coordinator will help you customize a program that will not only round out your education, but also provide the right skills to pursue your personal goals and fulfill the needs of both your current and future employers, and the young children in your care. Annual counselling will review your goals and progress to ensure your success in the program. A welcome session each September will integrate you into the program and connect you with your fellow students, faculty, and leaders in the field. You will also enjoy the personal attention available to you in the small classes taught by leading professionals in early childhood music education. Individual courses can provide valuable knowledge, but your customized program will offer you a well-balanced and complete education that will fulfill your special requirements. The ECME courses are complementary; the knowledge gained in one course will improve your success in another. As a graduate of The Royal Conservatory's Advanced ECME Certificate, you will have the opportunity to participate in The Conservatory's annual convocation ceremony held in Toronto. Your expertise will be in demand for daycare centres, private schools, ECE placements in full-day kindergartens, music schools, and libraries. To apply for the Advanced Certificate in Early Childhood Music Education, students must submit the application form, supporting materials, and the application fee to Registration and Student Services. It is important that you apply to the program first before registering in any courses. There are two intake periods: one in the winter and one in the spring. An early application ensures registration in the course(s) of your choice. Please download the application form and submit it to the Royal Conservatory School prior to the deadlines below. Please note that an application fee of $60 applies for this program. 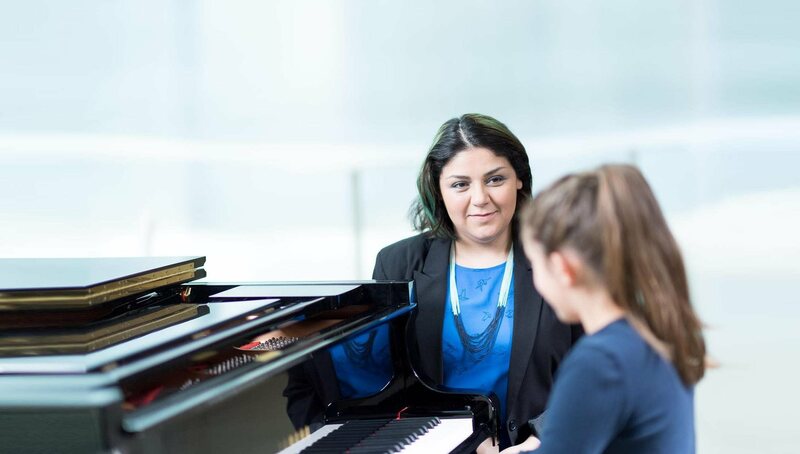 Once The Royal Conservatory receives your application package, you will be invited to a short admissions interview, where you will meet the program coordinator to discuss your interests and tailor the program to suit your goals. You may be asked to sing a simple song to help determine your placement. The program coordinator will help you determine the best combination of courses to suit your background and career goals. Elective courses must be chosen with the approval of the coordinator. We recommend that students begin with their studies by taking Music in Early Childhood. Students may transfer up to two relevant credits obtained from Ryerson University or The Royal Conservatory to the Advanced Certificate in Early Childhood Music Education. In addition, up to two credits will be considered for transfer credit from an outside institution. Courses considered for transfer credit will be at the discretion of the program coordinator, must have been completed within five years prior to registration in the program and must be approved by the admissions committee. The completion of eight courses is required for the Certificate. All courses must be completed within four years from admission into the program. Students pursuing a Certificate must formally register in the program prior to the completion of the last six courses. We highly recommend registration prior to the commencement of any of the courses. Applicants may be eligible for Royal Conservatory scholarship or bursary assistance. Scholarships and bursaries may also be available from outside organizations such as The Early Childhood Music Association of Ontario or Carl Orff Canada. A total of eight courses are needed for graduation: three required courses, a minimum of two from Elective Group 1, and a minimum of two from Elective Group 2. The program may be completed on a part-time basis within a maximum of four years. Many students complete it in less time. Some courses, including the recommended initial course, Music in Early Childhood, may be taken in the summer. ** This course is offered in July every year, and may be taken as a single course without reference to the ECME certificate program. Courses offered by specific accredited Societies may also be recognized in this category. Please inquire with [email protected] if you are interested in additional pedagogy offers. *Courses offered through The G. Raymond Chang School of Continuing Education at Ryerson University. Courses offered through the Royal Conservatory of Music can be viewed here. The ECME Student Handbook, available after acceptance into the program, contains in-depth course descriptions and prerequisites for courses. All courses and tuition are subject to change. For information about ECME classes, prerequisites, and application deadlines, please contact [email protected]. The famous Kodály method develops the ability to read, write, hear, and think musically through singing. These courses are part of a three-level certificate program that explores the teaching philosophy and method originated by Zoltán Kodály. Students who successfully complete all three levels receive a certificate issued by The Royal Conservatory with the Kodály Society of Canada. The Royal Conservatory, in collaboration with the Suzuki Association of the Americas (SAA), offers courses in Suzuki education and professional development in Suzuki violin, cello, and piano. I have the music qualifications to enter Level I Orff. Can I skip the Introduction to Orff and still get credit for AQ parts 1 and 2? Unfortunately, the College of Teachers does not have a process for recognizing your prior training. You must complete AQ Part 1 if you want to complete your AQs. I have the music qualifications to enter Level I Orff but I am taking the Introduction to Orff to get AQ part 1. Will I be bored? The overwhelming consensus from previous participants is that this course provides valuable training for those with prior musical training and/or significant teaching experience. The practical emphasis on creative strategies for the classroom, thoughtful presentation of issues in music education and exciting repertoire drawn from a wide variety of world cultures are valuable to both the novice and the experienced musician. I took AQ part 1 from another provider. Can I go directly into Orff Level I to complete my AQ part 2? Yes, providing you have the musical qualifications. I took AQ parts 1 and 2 from another provider. Can I go directly into Orff Level II to complete my Ontario Music Specialist? No, you must have Orff Level I in order to take Orff Level II. When and to whom do I pay the additional fee to complete the AQ? When you register for the Orff course at rcmusic.com/teacher-training, follow the link to complete the AQ registration as well. If you are taking Orff Level I/AQ Part 2 or Orff Level II/Specialist you will also need to upload a teaching experience form signed by a superintendent. This form is available on the AQ registration page. I can’t reach my Superintendent during the summer to sign my experience form. Can I still register for AQ Part 2 or Specialist? Yes, complete the AQ registration without the experience form. Your AQ completion will be registered once you upload the form in the fall. Are there additional assignments for those who are doing their AQs? Yes. You will be asked to complete additional readings and some short culminating assignments over a number of weeks. You submit the documentation online, then advise the AQ Coordinator ([email protected]) that you have completed all requirements. You will receive feedback and a confirmation of completion from the RCM evaluator. How and when does the Ontario College of Teachers (OCT) register the AQ? The RCM will submit your completion to the OCT when you have successfully completed all course components; the College will enter the completion on your teaching certificate. This usually takes about 2 months from the time you submit your final assignment. There will be no direct notification to you, but you can check your status at oct.ca. I completed my Orff Levels before they were recognized as AQs. Can I get retroactive credit? No. However, if you are not A4, you can ask QECO for recognition of AQ equivalency (one AQ for Orff Levels 1 and 2 together, then a second AQ for Level III). This equivalency does not get recorded on your teaching certificate but it does count towards category upgrade. I am a pre-service teacher (or planning to complete my teaching qualifications in the near future). Can I start, or even complete, my AQ part 1 before I am an OCT? No, you must have completed your teaching qualifications before you start the AQ course.